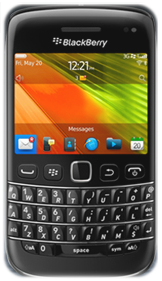 Ufone now offers BlackBerry Bold 9790 smartphone to its customers in Pakistan. Earlier we reported about the launch of BlackBerry Bold 9780 by Ufone, the latest in line. This powerhouse of a phone gives a whole new experience of connectivity with the latest OS 7, 1 GHz processor, 768MB RAM, 8GB internal memory, QWERTY keyboard, precision-based optical trackpad and capacitive touch screen. Packed with new technologies like Near Field Communication (NFC) and Augmented Reality (AR), the new BlackBerry Bold 9790, will change the way you interact with the world. With a crisp Liquid Graphics™ capacitive touch-screen and a beautiful backlit QWERTY keyboard, its users can smoothly switch between the two and enjoy the familiar convenience and performance of BlackBerry smartphones.